June 2014 | La-med Healthcare Pvt. Ltd.
For urine drainage in the patients suffering from urinary tract problems. Manufactured from 100% natural silicon bonded Latex. Smooth tapered tip of catheters facilitates easy introducing into the urethra. Large eyes at distal end accurately placed permits effective drainage. The balloon expands Symmetrically for retention in bladder. Special silicon bonded latex facilitates easy passage through urethra. Colour Coded sleeves at proximal end for size identification. Hard plastic valve permits secure connection with commonly used syringe nozzles for inflation / deflation and are proved to be more efficient than soft rubber valves. With in-house research and development for all our products and processes, we are also working on the development of special purpose machines and processes to optimize production and product quality. Our intellectual capital in designs and teams of experienced staff constantly improve on the existing designs using latest 3D, CADCAM technology as well as through extensive investments in trials. Value addition to existing designs is a strong area of focus in our R&D cell. Staying in constant touch with our end-users helps us to identify their needs. Our organised response system feeds directly into the R&D department, which makes a conscious effort to pre-empt their needs and expectations. “Conscious Caring” dictates all aspects of our performance from R&D to product usage. La-med healthcare is a leading manufacturer of premium quality medical devices. The company which established in the year 2007 has multiple manufacturing facilities located in India. La-med manufacture and market single use medical devices in Infusion Therapy, Anaesthesia & Respiratory care, Surgery & Drainage, Urology, Gastroenterology. La-med export over 150 million devices to over 45 countries globally. Our brand is well recognized and respected in the markets we cover. La- med has local representatives in many countries. Spread over a sprawling 75, 000 sq ft with the scope for further expansion, our flagship unit is equipped to deliver close to 150 million finished devices annually. With clean rooms meeting Class 10,000 standards designed as per US-FDA & ISO guidelines, a controlled environment through HEPA filtration implementation and compliance with all relevant national and global standards like strict hygiene standards of our own. Six Sigma processes controls and TQM measures have been built into our processes rather than being externally implemented. Option - filter in top chamber. Strong and sharp spike for easy insertion in Blood container. Approximately 20 drops / ml. Clear, transparent and kink resistant tubing of medical grade bio-compatible PVC. 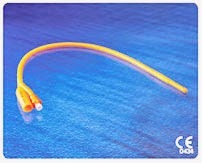 Tube length : 150 cm. 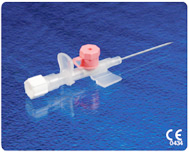 Roller clamp able to control the flow of the blood infusion also do not kink on the tube. In compliance with IS and ISO standard. The company has adopted ISO -9001:2008 quality management system and ISO 13485:2003 Quality management system specially for medical devices. Our products are CE marked from DNV Norway. La-med is registered with USFDA, and approval from Indian FDA, Drugs Department, GMP certificates has been received. Our products are registered in many more countries as per local regulation.